One of my favorite things is seeing newly engaged couples happily in love. 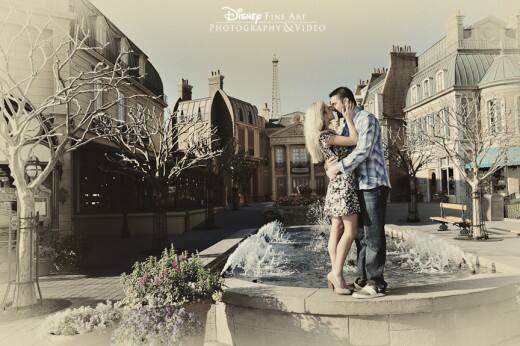 In honor of France's national holiday, I'm highlighting two couples so inspired by the romantic enchantment of "la vie en rose" that they decided to enlist Disney Fine Art Photography to snap engagement portraits at the France Pavilion in Epcot. What do you think? Tres bien?